Steve Wiegenstein - Library VisitI've been working on a new talk over the winter, and I delivered it for the first time at the Missouri River Regional Library in Jefferson City. It's based on the research I did for The Language of Trees -- all about the big timber boom of the 1880s-1900s. It was a great debut! Lots of people turned up on a single-digit degree night, including some very knowledgeable and engaged folks! 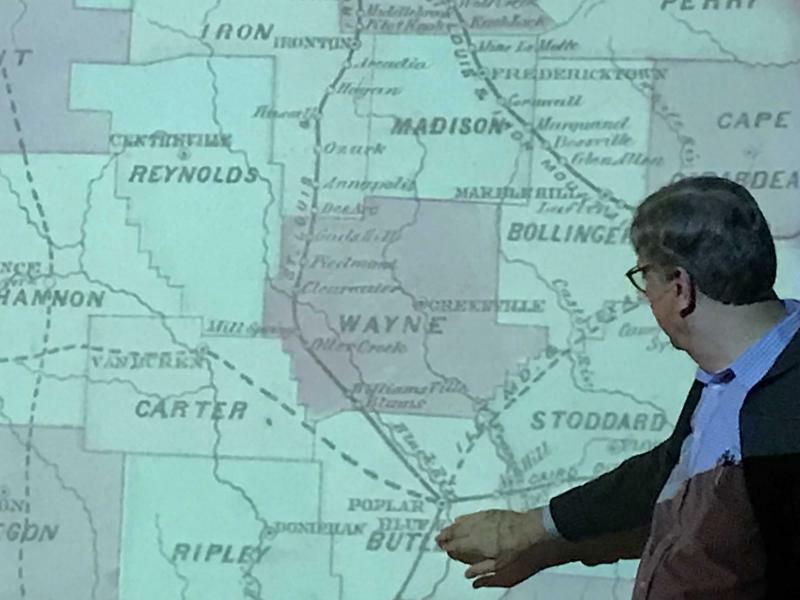 I'm eager to start giving this talk to libraries and civic groups around the state.Here I am mid-talk, getting lost as usual in a historical map. As anybody who knows me will testify, I am an old-map geek of the first order. You can learn so much by simply looking! And the more you look, the more you learn. Skylark BookshopWhat fun was had at the Skylark Bookshop recently when five authors got together for a reading! All members of the Columbia Writers Guild, we represented a wide variety of genres and styles. That's me on the left, with fellow authors Rexanna Ipock-Brown, Melinda Hemmelgam, Aaron Fox, and Stephen Paul Sayers. Who Loves Libraries?I do! This photo was taken at the Missouri River Regional Library in Jefferson City recently, where I was participating in an author event. My college friend Wade Park showed up, much to my delight!I've done events of all types at libraries all over the state, and elsewhere. A library is one of a community's greatest resources, a place open to all, where knowledge, entertainment, and connection is free and cherished. I'm an unabashed fan of libraries, and anyone who knows about my upbringing can say I got it honestly. My mother, a long-time librarian, instilled that love in me from a very early age.Missouri LifeLoved this review of THE LANGUAGE OF TREES in Missouri Life magazine: "A beautiful Ozark tale full of unlikely romance, an experiment in communal living, conflict between a lumber company and those idealistic settlers, a murder trial, and a flood caused by a dam break that changes everything for everyone. . . You need not to have read the previous books to enjoy this story, but you will be inspired to seek them out for more of his lovely language." - Danita Allen Wood, Missouri Life. ﻿Delightful NewsI was thrilled to learn that THE LANGUAGE OF TREES has received the Walter Williams Major Work Award for 2018 from the Missouri Writers Guild! This award, named for the founder of the Missouri Writers Guild (and the Missouri School of Journalism), honors a publication that is worthy of special recognition because of research or the high literary quality of its creation. I have been involved with the MWG for more than a decade, and it is a great group of committed writers who are truly dedicated to their craft. This recognition is humbling news that motivates me to do even better on my next book.OzarksWatchI've admired OzarksWatch magazine for many years. So I was delighted to see an appreciative review of THE LANGUAGE OF TREES in its most recent issue! A brief quote: "Ostensibly about the challenges and temptations encountered by citizens of a nineteenth century utopian community in the face of a changing world, this book tells that story in the context of the equally absorbing saga of the deforestation of the eastern Missouri Ozarks. . . . author Steve Wiegenstein has captured a sense of the area, its history, and its people. Recommended. 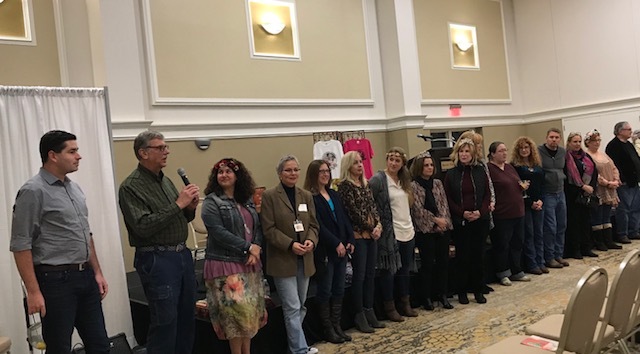 "﻿The Pulpwood Queens I was delighted to have been invited to participate in the Pulpwood Queens Book Clubs' Girlfriend Weekend in Nacogdoches, Texas, earlier in January. For those of you who don't know, the Pulpwood Queens are book clubs both in the U.S. and around the world who gather every year for a big get-together and celebration of reading. They have a rollicking time and bring in dozens of authors to share the fun. 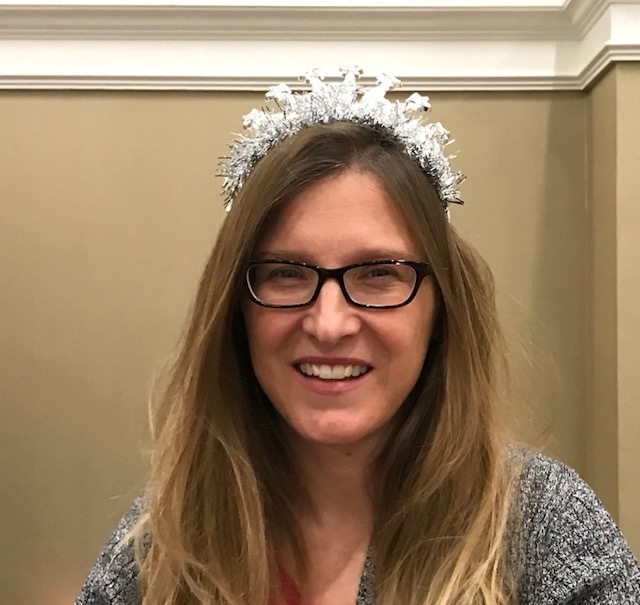 There were author panels for two solid days, plus a themed dinner and a Saturday night party. I met a great bunch of avid readers and committed authors. Here are a few photos: And I'm also looking forward to the Southern Kentucky Book Festival in April! The SOKY Book Fest is an early kickoff to festival season, and it's a great time of year to be in Bowling Green. If you've never been to that part of the country, it's beautiful....and you can combine a spring color trip with a literary festival! Book Club Reading Guide! Many thanks to Caitlin Hamilton Summie for putting together this awesome reading guide for book clubs for THE LANGUAGE OF TREES! I always love talking to book groups. They are so interesting and involved in their reading! "In Steve Wiegenstein's new novel, The Language of Trees, a stunning balance of love and power occurs, between women and men, between wilderness and human ambition, and between the varied machinations of the body and the multivalent clarion of the spirit borne by those who people this fine work of historical fiction. The Language of Trees is aware of transcendent love, wise and clear-eyed with regard to human greed, and thrilling in its descent into both and emergence into greater life." -Shann Ray, National Endowment for the Arts Fellow and American Book Award winning author of American Copper, Balefire, and American Masculine "At thirty, the utopian community of Daybreak, Missouri, again faces challenges from outside and within. Capitalist industry threatens Daybreak’s communal principles—and its lands. Buried passions roil the town’s calm façade; the few remaining founders struggle to retain their vision of a better world; and nature itself resists the assault of miners and loggers. 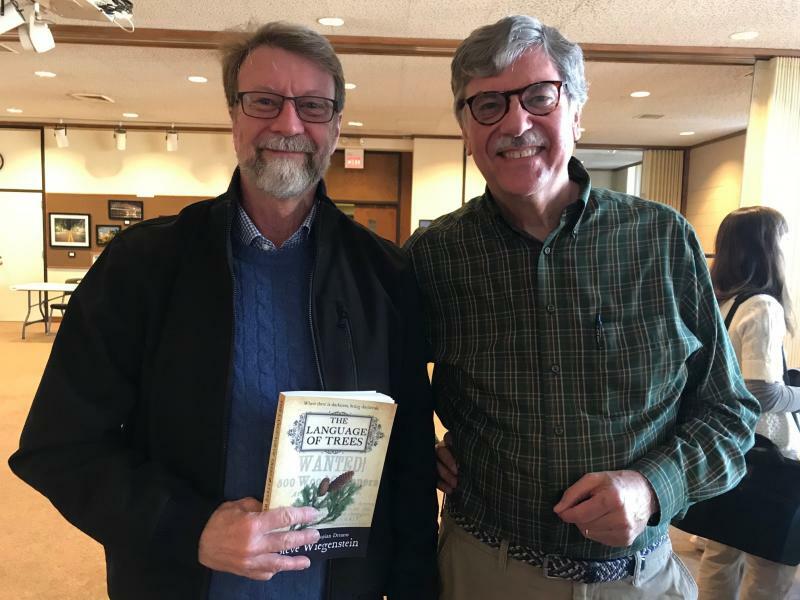 In The Language of Trees, third in the Daybreak Series, Steve Wiegenstein explores, with a deft touch and an unerring sense of the rhythms of nineteenth-century life, the intertwined fates of a complex and delightfully human cast of characters." -C.P. 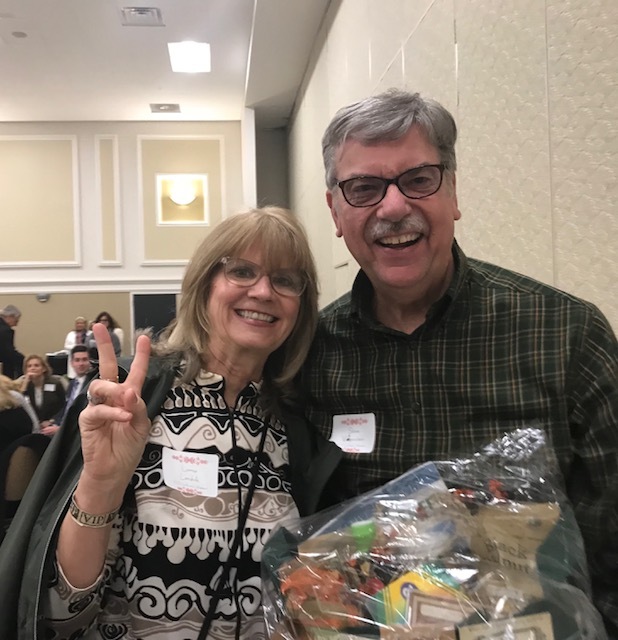 Lesley, author of The Swan Princess and other novels﻿﻿﻿﻿ “What an Ozarks miracle Steve Wiegenstein has conjured in Daybreak—a communal hamlet, then a utopian community nearly as intricate in its generations and personalities as Stay More or West Table! Yet Daybreak seethes with its own raw idealisms, yearnings, ambitions, and loves. In The Language of Trees you will fall head over heels for Josephine Mercadier. And like Ozarks heroines in those unforgettable, fabled places she, and Daybreak, will ever be inviting you back.” —Steve Yates, author of The Legend of the Albino Farm, the Knickerbocker Prize-winning Sandy and Wayne, and the Juniper Prize-winning Some Kinds of Love: Stories. ﻿ Good time at Washington U. Every year, the men of Alpha Delta Phi at Washington University choose a Missouri author to read and discuss. Recently I was happy to be selected, and here's a picture of us after my talk! They are aptly known as the Eliot Chapter of their fraternity. We talked for more than an hour, and they had some great comments and questions. Thanks especially to Tarun Chally (third from left), who was my contact person/organizer for the event. And despite the general glow, we aren't about to be transported into a spaceship . . . just standing in a brightly lit foyer. I've been working on a new talk over the winter, and I delivered it for the first time at the Missouri River Regional Library in Jefferson City. It's based on the research I did for The Language of Trees -- all about the big timber boom of the 1880s-1900s. It was a great debut! Lots of people turned up on a single-digit degree night, including some very knowledgeable and engaged folks! I'm eager to start giving this talk to libraries and civic groups around the state. Here I am mid-talk, getting lost as usual in a historical map. As anybody who knows me will testify, I am an old-map geek of the first order. You can learn so much by simply looking! And the more you look, the more you learn. 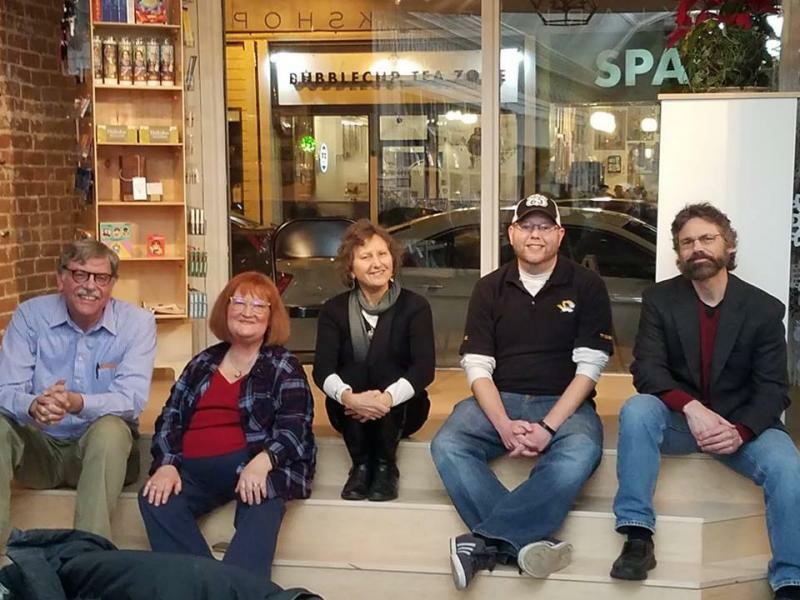 What fun was had at the Skylark Bookshop recently when five authors got together for a reading! All members of the Columbia Writers Guild, we represented a wide variety of genres and styles. That's me on the left, with fellow authors Rexanna Ipock-Brown, Melinda Hemmelgam, Aaron Fox, and Stephen Paul Sayers. I've done events of all types at libraries all over the state, and elsewhere. A library is one of a community's greatest resources, a place open to all, where knowledge, entertainment, and connection is free and cherished. I'm an unabashed fan of libraries, and anyone who knows about my upbringing can say I got it honestly. My mother, a long-time librarian, instilled that love in me from a very early age. "A beautiful Ozark tale full of unlikely romance, an experiment in communal living, conflict between a lumber company and those idealistic settlers, a murder trial, and a flood caused by a dam break that changes everything for everyone. . . You need not to have read the previous books to enjoy this story, but you will be inspired to seek them out for more of his lovely language." - Danita Allen Wood, Missouri Life. 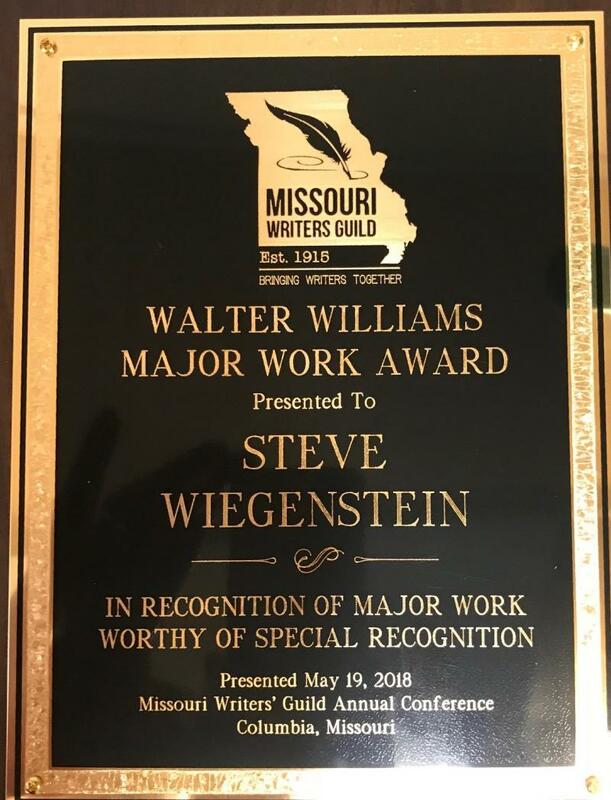 I was thrilled to learn that THE LANGUAGE OF TREES has received the Walter Williams Major Work Award for 2018 from the Missouri Writers Guild! This award, named for the founder of the Missouri Writers Guild (and the Missouri School of Journalism), honors a publication that is worthy of special recognition because of research or the high literary quality of its creation. I have been involved with the MWG for more than a decade, and it is a great group of committed writers who are truly dedicated to their craft. This recognition is humbling news that motivates me to do even better on my next book. I've admired OzarksWatch magazine for many years. So I was delighted to see an appreciative review of THE LANGUAGE OF TREES in its most recent issue! A brief quote: "Ostensibly about the challenges and temptations encountered by citizens of a nineteenth century utopian community in the face of a changing world, this book tells that story in the context of the equally absorbing saga of the deforestation of the eastern Missouri Ozarks. . . . author Steve Wiegenstein has captured a sense of the area, its history, and its people. Recommended." 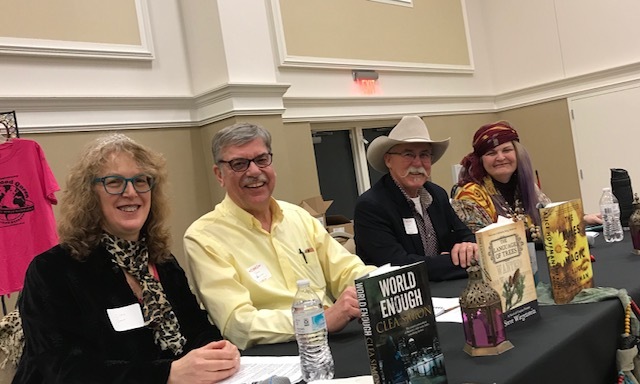 I was delighted to have been invited to participate in the Pulpwood Queens Book Clubs' Girlfriend Weekend in Nacogdoches, Texas, earlier in January. For those of you who don't know, the Pulpwood Queens are book clubs both in the U.S. and around the world who gather every year for a big get-together and celebration of reading. They have a rollicking time and bring in dozens of authors to share the fun. And I'm also looking forward to the Southern Kentucky Book Festival in April! The SOKY Book Fest is an early kickoff to festival season, and it's a great time of year to be in Bowling Green. If you've never been to that part of the country, it's beautiful....and you can combine a spring color trip with a literary festival! Many thanks to Caitlin Hamilton Summie for putting together this awesome reading guide for book clubs for THE LANGUAGE OF TREES! I always love talking to book groups. They are so interesting and involved in their reading! —Steve Yates, author of The Legend of the Albino Farm, the Knickerbocker Prize-winning Sandy and Wayne, and the Juniper Prize-winning Some Kinds of Love: Stories. Good time at Washington U. Every year, the men of Alpha Delta Phi at Washington University choose a Missouri author to read and discuss. Recently I was happy to be selected, and here's a picture of us after my talk! They are aptly known as the Eliot Chapter of their fraternity. We talked for more than an hour, and they had some great comments and questions. Thanks especially to Tarun Chally (third from left), who was my contact person/organizer for the event. And despite the general glow, we aren't about to be transported into a spaceship . . . just standing in a brightly lit foyer. Keep an eye on the "News" link above....I'll use it to update you about upcoming events and speaking engagements, and I'll throw in reflections and observations as well. Do you need a speaker for your Civil War group, your lecture series, your book club, or your civic or church group? 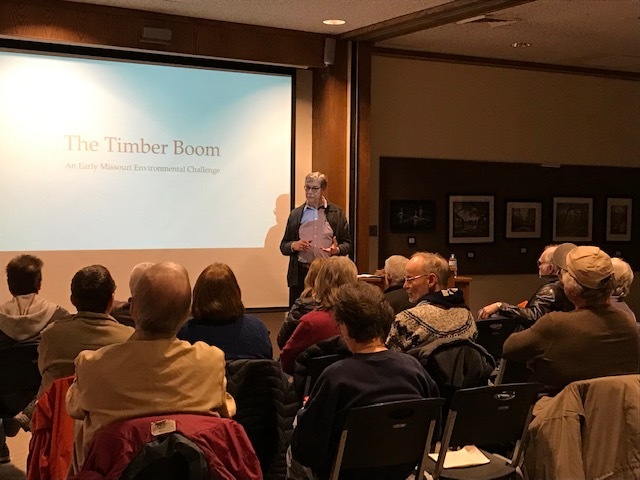 I'm a member of the Show Me Missouri Speakers Bureau, jointly managed by the Missouri Humanities Council and the State Historical Society of Missouri. They help groups and organizations book speakers at a fantastically low cost! If your group isn't eligible for the Show Me Speakers Bureau, contact me and we'll see if our schedules can work out. Recent reading at the Trail's End Festival in Sedalia.